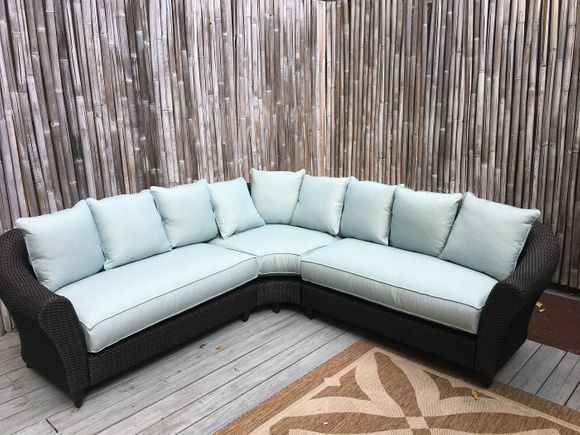 The La Joya outdoor wicker sectional by Lane Venture features contemporary styling of synthetic wicker woven on an aluminum frame. The plump box welted cushions are not only made of Sunbrella high performance fabric, but provide the ultimate in self-draining outdoor fiber fill. Hurry limited quantaties available! Some minor assembly required.